For young Swiss graduates, UN Youth Volunteer positions, facilitated by cinfo, the Swiss Center for Information, Counselling and Training for Professions relating to International Cooperation, are an attractive opportunity to start a career in international cooperation. They provide solid field experience and networking opportunities that may lead to further employment within the international development arena. How did people experience their assignment in the field? 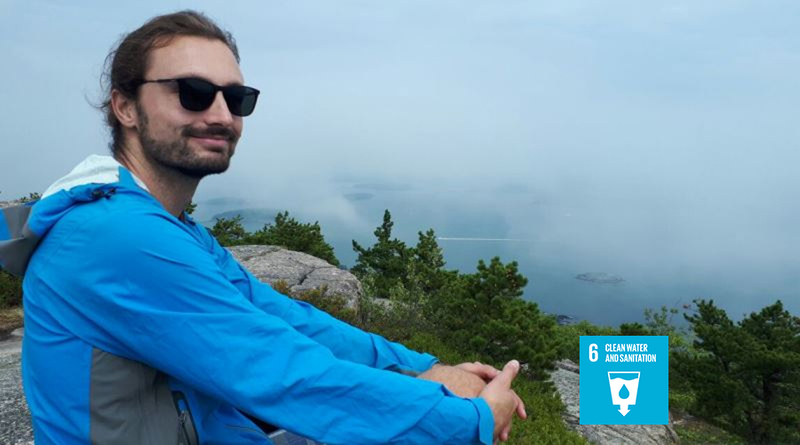 Read the testimonial of former UN Youth Volunteer, Mirco Keller, who laid the foundation for his career in international cooperation through an assignment with the United Nations Volunteers (UNV) programme. Mirco Keller, former UN Youth Volunteer, served with the United Nations Children's Fund (UNICEF) in Burundi. He was part of UNICEF's water, sanitation and hygiene programme, which included development projects, as well as emergency relief activities. What was the added value of your assignment and what impact did it have on vulnerable populations? I think that my assignment had an added value both for UNICEF, as they had an additional qualified resource available for the duration of the assignment, as well as for myself, as it provided me with solid field experience and an insight to the UN system which was very helpful for my professional path in international cooperation. Regarding the impact of my assignment on vulnerable populations: I contributed towards the implementation of UNICEF's WASH program, which supported various vulnerable population groups in Burundi. For example, we improved access to adequate private sanitation facilities in rural areas, provision of water and sanitation facilities in schools and villages, as well as emergency relief assistance to returnees in temporary camps in the south of Burundi. What have you done since completing your UN Youth Volunteer assignment? I continued to work in the world of international cooperation, but decided to apply for jobs with non-governmental organizations where I was more directly involved in the implementation of project activities. Following my time as a UN Youth Volunteer, I first worked with ACTED in Jordan for six months, then with Inter Aide in Malawi and after that with GOAL in Sierra Leone, for periods of about 1.5 years each. All these positions were within slightly different fields of the WASH sector. In early 2018, I started to work for the International Committee of the Red Cross as a Water and Habitat Engineer, and I am currently based in Kirkuk, Iraq, for a one-year mission. I am responsible for the management of infrastructure projects related to drinking water supply and habitat/construction in the disputed territories in Iraq. Can you remember a particularly exciting time/situation you experienced during your assignment as UN Youth Volunteer? There were countless exciting and memorable moments during my UN Youth Volunteer assignment in Burundi, such as field visits to project sites in remote rural areas, staff events and team-building events with UNICEF colleagues, or the excursions and social events that I experienced or organized together with friends and colleagues. Do you remember a challenging time/situation you had during your assignment as a UN Youth Volunteer? One challenging issue during my assignment was the supervision of local partner organizations who were implementing project activities for UNICEF. As some of these organizations were poorly managed by people who didn’t always have the necessary skills and attitude for the job, this led to major shortcomings in regards to the quality of the work that I had to supervise. Through capacity-building efforts and advocacy, some of the issues could be resolved during my assignment. What was your biggest learning from this assignment? I got an insight into a UN agency (UNICEF, in my case), learnt how it functions and got to know its strengths and limitations. This learning experience was extremely useful later in my career when dealing with UNICEF, as I had a good understanding of its structure and way of working, which facilitated relevant discussions and negotiations. Would you recommend this programme to other young Swiss graduates today? Yes, I would definitely recommend this programme to young Swiss graduates who are looking for an entry point in international cooperation or to gain additional experience in this field. It is a very good opportunity for young professionals who have the relevant skills and are motivated to work with the UN for one year, especially if they are interested to continue working in the field of international cooperation afterwards. I would probably be more proactive during the assignment to ensure that I can carry out relevant and interesting tasks that correspond to my expertise and interests. In my case the job description didn’t really match to what I was actually asked to do during the assignment. Because of this, I think that I could have been more insistent on finding more suitable tasks for my interests and skills. What advice would you give to someone who wants to apply? If you have found a UN Youth Volunteer assignment that really interests you and if you have all the necessary requirements and qualifications, I can just recommend to go through the information material on the cinfo website to get more information about the recruitment process and to get advice on how to prepare for the application and the interview. What advice would you give to someone who has been selected? To prepare for the assignment as good as possible by researching more about the country, the respective UN agency and the professional issues to be covered. Networking with former UN Youth Volunteers who were in the same location can also be very useful, as they can give specific recommendations and contacts. This interview was first published on the website of cinfo, the Center for Information, Counselling and Training for Professions relating to International Cooperation.